Lisa M. Casa is an associate in the Employment and Labor practice group. She concentrates her practice in the areas of employment and labor law, sexual harassment and discrimination law, overtime and failure to pay wages law, union/management issues, and litigation. Her articles, “The Cost of Silence: Sexual Harassment Claims in the #MeToo Era,” “Ban the Box: An Equal Playing Field but More Regulations for Employers,” and “EEOC v. McDonald’s: Reasonable Accommodations under ADA for Job Applicants,” were published in the Nassau Lawyer. 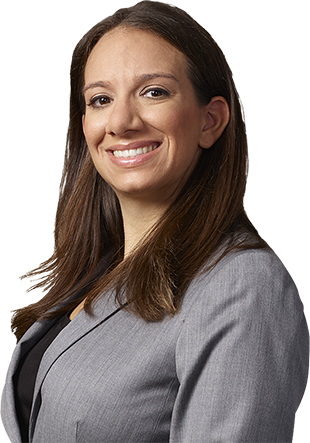 Her article, “New York Family Leave is Here – What Employers Need to Know,” was published in The Suffolk Lawyer and most recently, her article, “Are Agents, Brokers and Salespersons Independent Contractors?” was published in the New York Real Estate Journal. Previously, Ms. Casa was an associate at a commercial litigation law firm located on Long Island and a boutique matrimonial law firm. Prior to working at those firms, Ms. Casa served as a law clerk to the Hon. David J. Issenman, Superior Court of New Jersey. As a law student, Ms. Casa interned for Hon. Esther Salas, United States Magistrate Judge, and with the United States’ Postal Service Employment law Division.